Every industry. Any size. NCrypted's solutions help transform businesses worldwide! NCrypted Websites (ncrypted.net) is an ISO 9001:2008 standard end-to-end web and mobile development division of NCrypted Technologies Pvt. Ltd. NCrypted Websites focuses on custom website clone services and website design & development as well mobile app development services for startups and SMEs. Our state-of-the-art development centers are spread across 10,000+ sq. ft. of area with a development seating capacity of over 200+. The DCs are equipped with the latest and best in class software and hardware required to develop and provide world-class products and services. Our numbers sure do look impressive, but that's not what we take pride on. Our repeat business ratio from existing clientele is a lot more than the industry average for SMEs and that is something that we constantly thrive for. Our aim is to build software and provide services that are best in class. Products that are not only of world class quality but are commercially viable as well, and thus to ensure that our clients can go to market quickly and with confidence. Please read more about us at NCrypted.com to find out who we are, what we do, our methodologies, clients, testimonials, reviews, case studies etc. 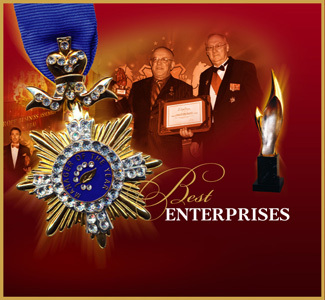 Award Winning Solutions - 8 International Awards in Last 2 Years! 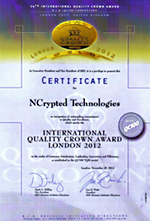 NCrypted® received IQC Award 2012 from BID in London, UK. 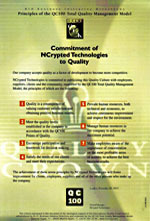 The award acknowledges NCrypted's strong commitment towards quality, innovation and customer satisfaction. Our company accepts quality as a factor of development to become more competitive. NCrypted® is committed to publicizing the total quality management (TQM) principles supported and honored by QC100 Model. 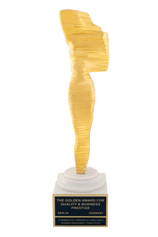 NCrypted® has recently been awarded with The Golden Award for Quality and Business Prestige from OMAC. The prestigious award was honored to NCrypted during the Green Economy Forum 2013 in Rome, Italy. 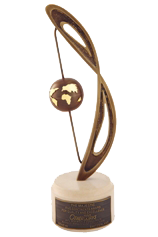 The latest award in our awards portfolio is The Majestic Five Continents Award for Quality and Excellence, recently received by NCrypted in November 2013 in Geneva, Switzerland. This international award has been honored to NCrypted in Europe to reward our commitment to quality practices in business. 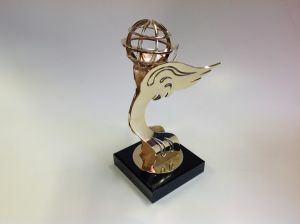 Europe Business Assembly (EBA) has recently honored NCrypted with its prestigious international award for 'Best Enterprise' in the field of web development, in Montreux, Switzerland. In Vienna, December 2013, the European Society for Quality Research (ESQR) was presented the European Award for Best Practices to NCrypted® to recognize our efforts in quality excellence, innovation and customer oriented thinking approach. Hundreds of thousands of end-users use our products and services daily. NCrypted's clientele is spread across 50+ countries including the United States of America (USA), the United Kingdom (UK), Canada, France, Germany, Italy, Spain, Australia, New Zealand, Portugal, Norway, Sweden, Finland, Denmark, Ireland, Netherlands, Iceland, Luxembourg, Switzerland, Greece, Ukraine, Romania, Austria, Belgium, United Arab Emirates (UAE), Brazil, South Africa, Nigeria, Oman, Iran, Iraq, Saudi Arabia, Jordan, Kuwait, Qatar, Bahrain, Israel, India, Singapore, Hong Kong, Thailand, Indonesia etc. NCrypted Websites has spent years researching different industry verticals and websites to come up with innovative website clone ideas. We have both ready made platforms (software) and custom development solutions for world-class website clone scripts / products such as AirBNB Clone, Kickstarter Clone, Flippa Clone, Elance Clone, Freelancer Clone, Reddit Clone, Digg Clone, eBay Clone, Amazon Clone, Facebook Clone, LinkedIn Clone, Yelp Clone, Alibaba Clone, Etsy Clone, Netflix Clone, Eventbrite Clone, SoundCloud Clone Script, Vacation Rental Script, Crowdfunding Script and 80+ others website clone solutions. Don't get mislead by other cheap 3rd party scripts. They aren't scalable, robust and user-friendly and that is all that matters when you want to go to market. Think Original. Think NCrypted®. Contact us to get your genuine website & mobile app developed today.